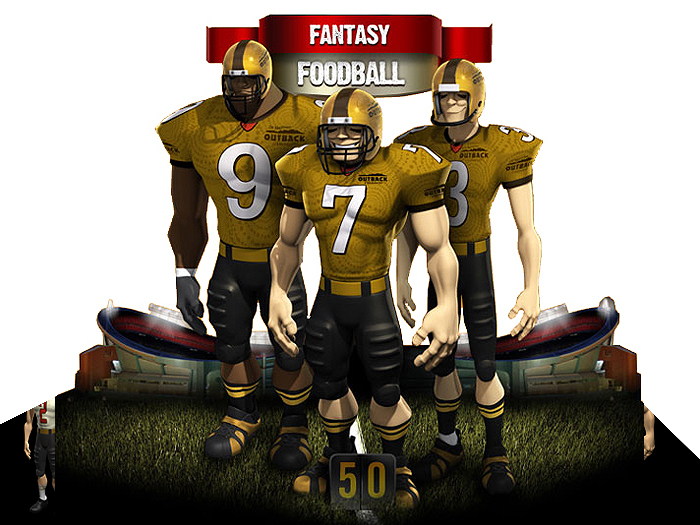 We were contracted by Red Interactive to help create a fully interactive online game. 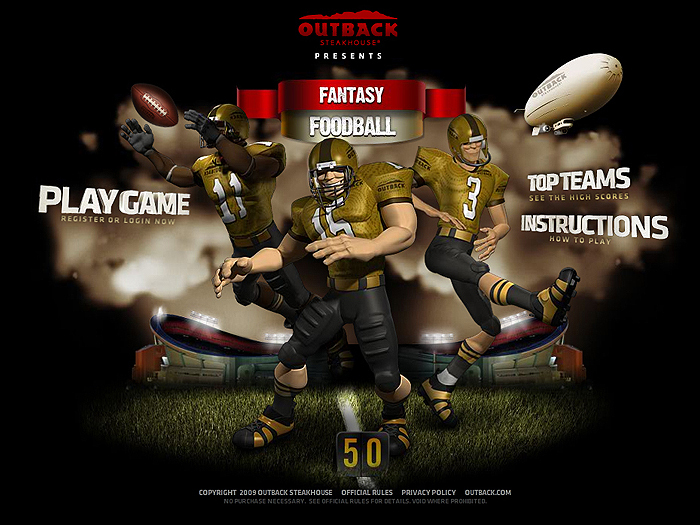 The game was to showcase selected meals and Incorporate them using the Food Bowl 3D Animated football players. 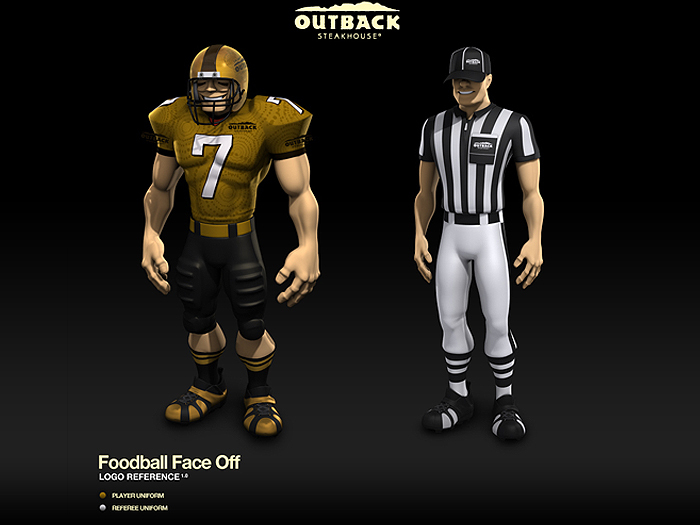 We designed over 36 characters along with animation sets for each one of the characters. 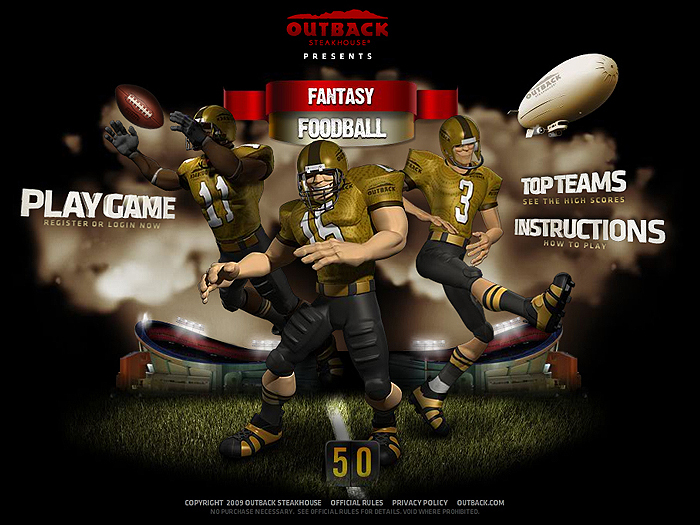 This was then used to create a great interactive experience for the viewers on the Outback Steak House website.